Taimur’s mood swings had no bounds, from running to crying to winning, the 2-year-old shared some adorable moments with his mother. The youngest ‘Nawab’ of Pataudi, the so adorable Taimur Ali Khan, son of Kareena Kapoor Khan and Saif Ali Khan, on Sunday exhibited his sporty side. 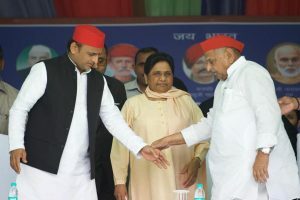 The cutie pie participated in a few outdoor activities at sports day that was held on Saturday. 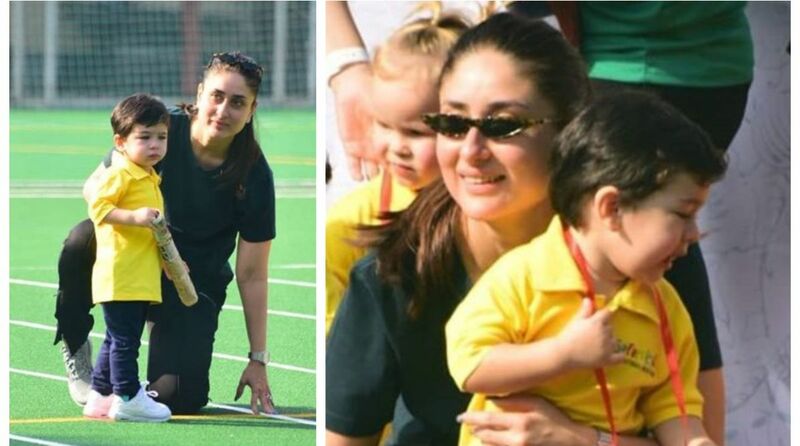 Kareena Kapoor Khan with mother Babita Kapoor was a part of the sports day to cheer her son. Taimur looked cute as a button in a yellow polo neck shirt which was paired with blue jeans and white sneakers while mother Kareena wore a black tee and black track pants which she paired with white sneakers. During the event, Taimur’s mood swings had no bounds, from running to crying to winning, the 2-year-old shared some adorable moments with his mother. Not just that, Taimur ended up winning a gold medal. Recently, the Kapoor family celebrated Taimur’s birthday in advance and the party was hosted at their residence in Mumbai. Also seen at the party were Kareena’s sister Karisma, Soha with Kunal and Kareena’s father Randhir Kapoor and her mother Babita. Taimur Ali Khan was born on December 20, 2016, and is one of the most popular star kids in the country.